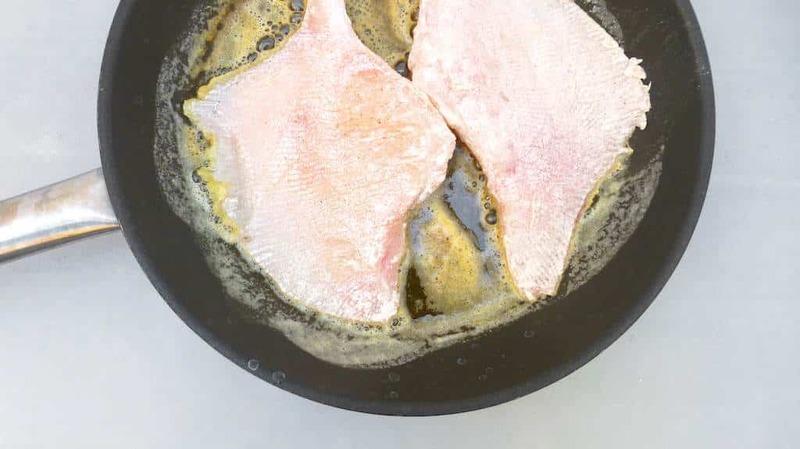 Fried Skate Wings in Butter Sauce Recipe | Simple. Tasty. Good. I love skate wings so whenever I see them at my fish monger’s I make fried skate at home. Plain and simple, just floured on both sides and fried golden in some butter. Just a tad of vinegar in the end and sprinkled with chopped parsley and… the most delicious grey North Sea shrimp. Hurry up, dinner is served! Love grey shrimp? Then also check out my shrimp stuffed tomatoes! I love skate wings so much! I prefer pan fried skate. Plain and simple, just floured on both sides and fried golden in some butter. Rinse the skate wings under cold running tap water and then pat them dry with some kitchen paper. Pour the plain flour in a deep plate and season it with some pepper and salt. 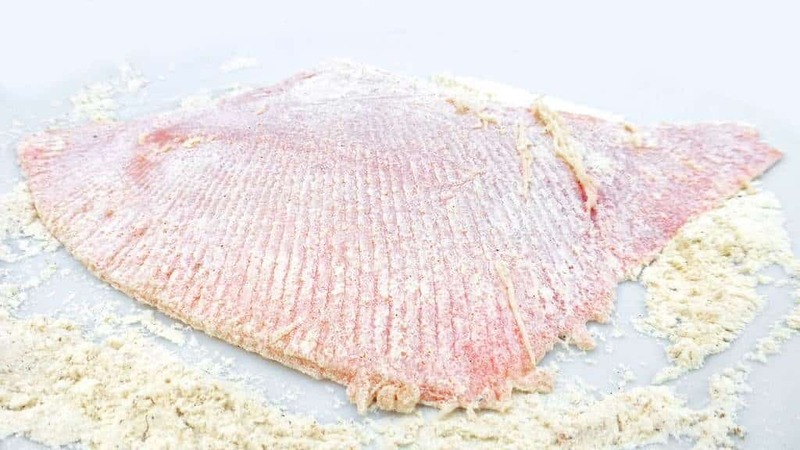 Then coat the skate on both sides with the flour and shake off the excess flour. 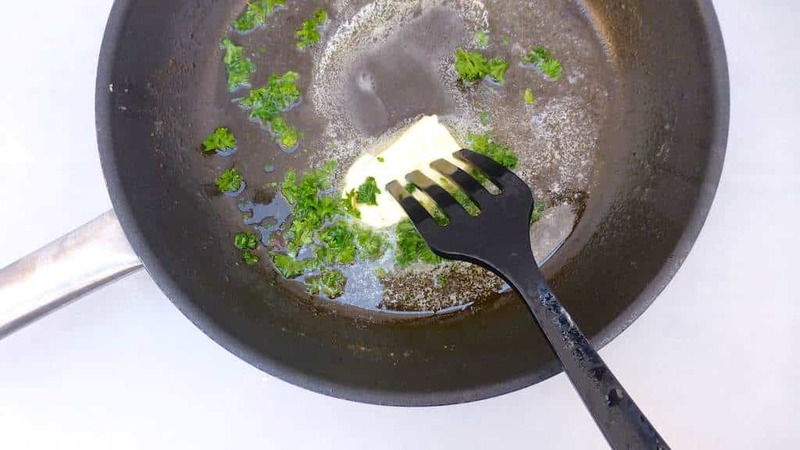 Add 2 tablespoons of the unsalted butter to a large non-stick pan and place it over high heat. 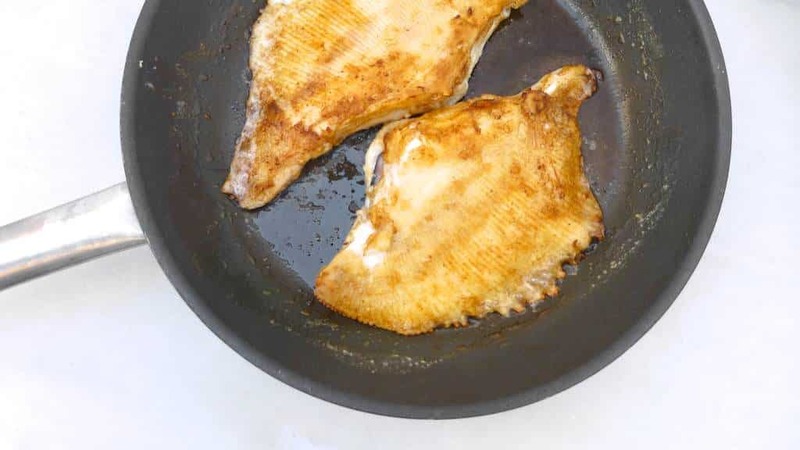 Once the butter has melted, add the floured skate wings. Sear them quickly on one side for a couple of minutes until golden brown. Then flip the wings over and brown them on the other side. Turn the heat lower to medium and cook the fish for another couple of minutes until cooked through. Then remove the wings and place them on clean warm plates. 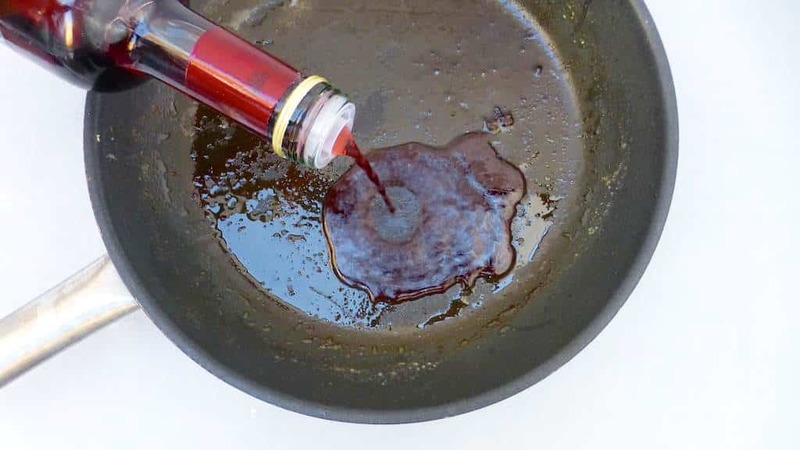 Pour the vinegar in the greasy pan to deglaze it. Drain the butter, vinegar and baked bits. Then place the pan over medium heat and add the rest of the unsalted butter. Let the butter brown a little and then add the lemon juice and the fresh chopped parsley. Season with a sprinkle of pepper and salt. Then take the pan off the heat and drizzle the butter sauce on top of the baked skate wings. Serve hot.